Dr. Bob Dawkins is an expert on how to optimize your sleep for health and productivity. I am a health and wellness specialist with a distinct emphasis on the role of sleep and its effect on your productivity and the quality of your life. My special interest and expertise is the science of sleep and chronobiology and how that should guide our lifestyles. Health is not about good and bad fats, it’s not about the time on the treadmill, or a fitness tracker or a sleep monitor. It’s about your Rhythm of Life. I will inspire your audience and I promise they will not fall asleep! I earned my PhD in the basic medical sciences program at the University of South Alabama College of Medicine, and my Master of Public Health (MPH) from the University of Alabama at Birmingham School of Public Health. I am certified by the American Board of Sleep Medicine and I have directed accredited sleep centers since 1987 working one-on-one with each patient. I have been a college professor and I mentored and qualified nine physicians for the sleep medicine boards. More information is available here: Introduction Video and here: An Interview Please request a quote here: Contact Form and include a little about the hosting organization and its mission, a description of the event and its purpose, and the audience and its approximate size. I am an enthusiastic speaker. I tend to gesture and move across the room and into the audience as I engage the participants. If possible, please consider this in selecting the room and the audio-visual setup. 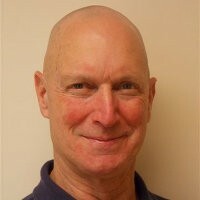 Find out more about Robert Dawkins at http://www.practicalhealthstrategies.com/.